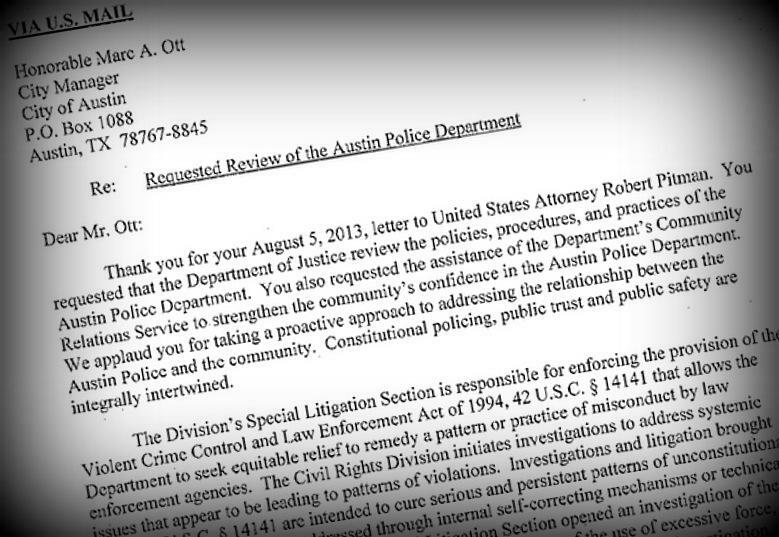 The Justice Department won’t be taking another look at Austin Police policies. City Manager Marc Ott asked the department to review Austin Police procedures following the shooting death of Larry Jackson Jr. by Austin Police Detective Charles Kleinert. Jackson, an African-American, was unarmed. In 2007, the DOJ began a review of Austin Police policies, prompted by concerns minority citizens were the targets of deadly and excessive police force. The investigation concluded in 2011; while not finding any wrongdoing, the Justice Department issued over 160 recommendations for Austin police to implement. City Manager Ott, in a memo to the city council, says that “while we had hoped for active DOJ involvement, I am certainly pleased with the confidence they have indicated in existing APD policies and procedures.” He says Austin Police Chief Art Acevedo will conduct a “special review” of police tactics to ensure they align with the Justice Department’s previous recommendations. The shooting death of Larry Eugene Jackson Jr. has resulted in a call from the Austin Police Association for an independent investigation: Not into the shooting itself, but into who leaked a statement from the officer that killed him saying the death was accidental. Jackson was killed on July 26 after being shot by APD Det. Charles Kleinart. 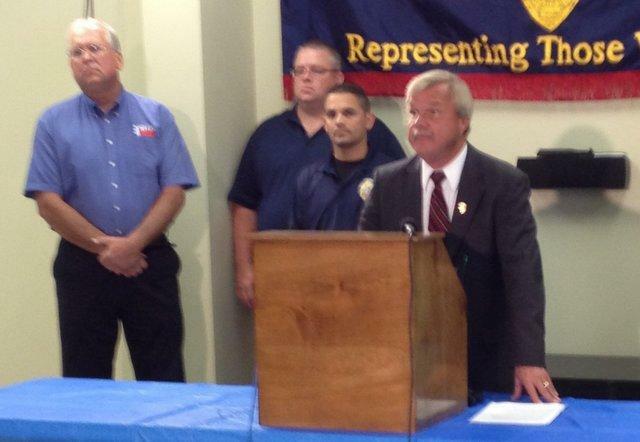 In the days following his death, details about detective Kleinart’s testimony to internal affairs investigators were released to members of the media. Wayne Vincent, president of the Austin Police Association, said the leaks are unacceptable.